I've been employed with Alfa Insurance for 24 years in the Hartselle office and have worked as an agent for the last 15 years. I specialize in risk management for your families needs. It's my responsibility to make sure you cover your family with adequate protection. I care about my customers and my service reflects how serious I am about doing what is right for you. Alfa is an A rated A.M. Best Company and we offer the best claims service in the business due to our local claims offices. My office staff is serious about showing that the trust you give us to take care of you is appreciated. I work, worship, and live in Hartselle, raised my children here and love this community. 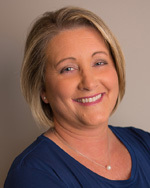 My hope is that when you are ready to shop for an experienced hometown agent you will think of Cindy Stephenson. Please call me today for a quote or just stop by for a visit.